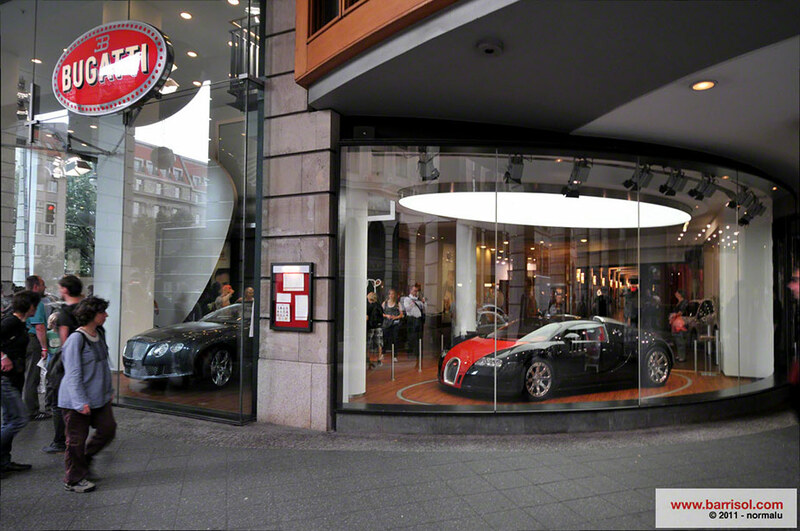 More than a showroom, the Volkswagen forum is a real exhibition space of more than 10 000 m² in the centre of Berlin. 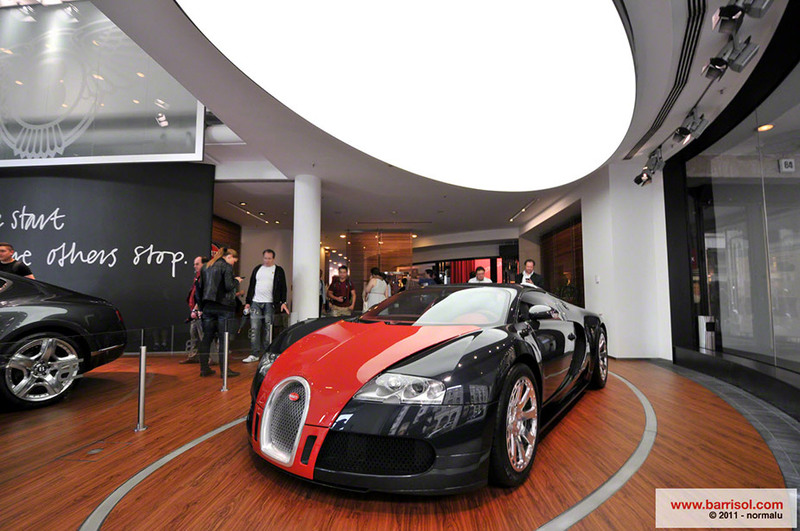 One of the most unique places in the world, All the brands of the group are exhibited. 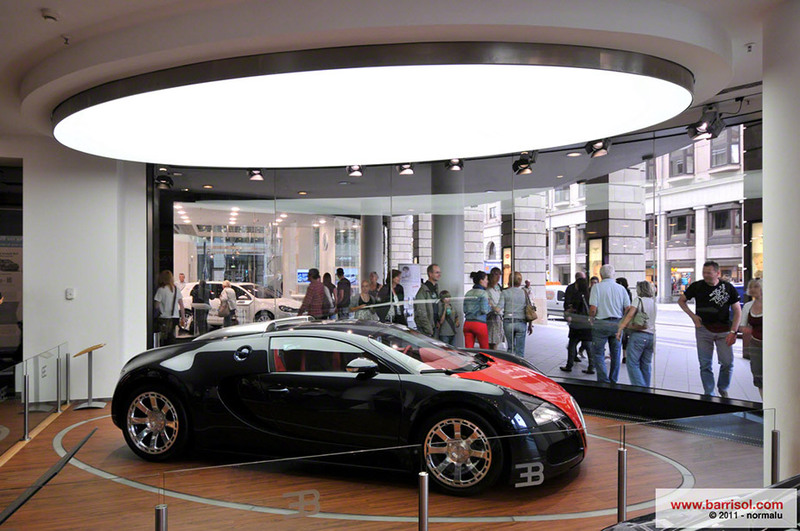 It's also the place where Volkswagen shows its latest prototypes and innovations. 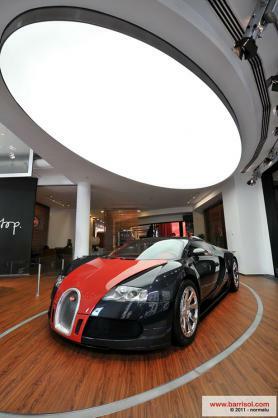 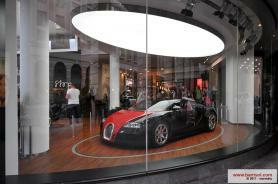 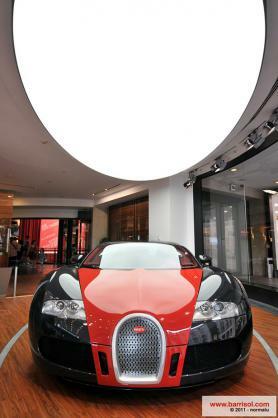 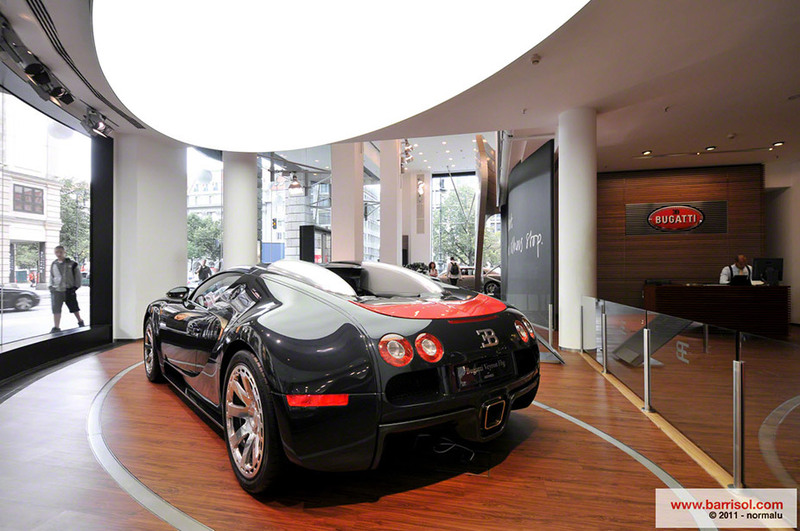 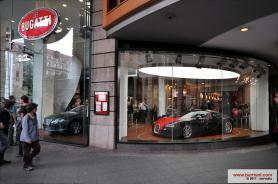 A huge back lit ceiling displays the very famous Bugatti Veyron.